These 2 pillow covers are made of 40% cotton and 60% polyester using superior materials. We found this combination to be the best for durability and texture. We hand washed our quilts three times to ensure material integrity. We use the traditional world famous Hawaiian quilting stitch/applique method. These two pillow covers are brand new, 100% HAND QUILTED and HAND APPLIQUED NOT MACHINE EMBROIDERED pillow covers. Each pillow cover comes with zipper for pillow inserts (pillows are not included). Excellent addition to your bedroom or living room. It can also be framed beautifully. Add some Hawaiian style and bring Aloha to your home or office. Our quilts makes a great conversation/centerpiece to any home or office and also it makes a terrific gift for any special occasion! SKU: MONB-PC18 Categories: Pillow Covers, 18" x 18"
Hey Buddy!, I found this information for you: "Monstera Pillow Covers ONB". 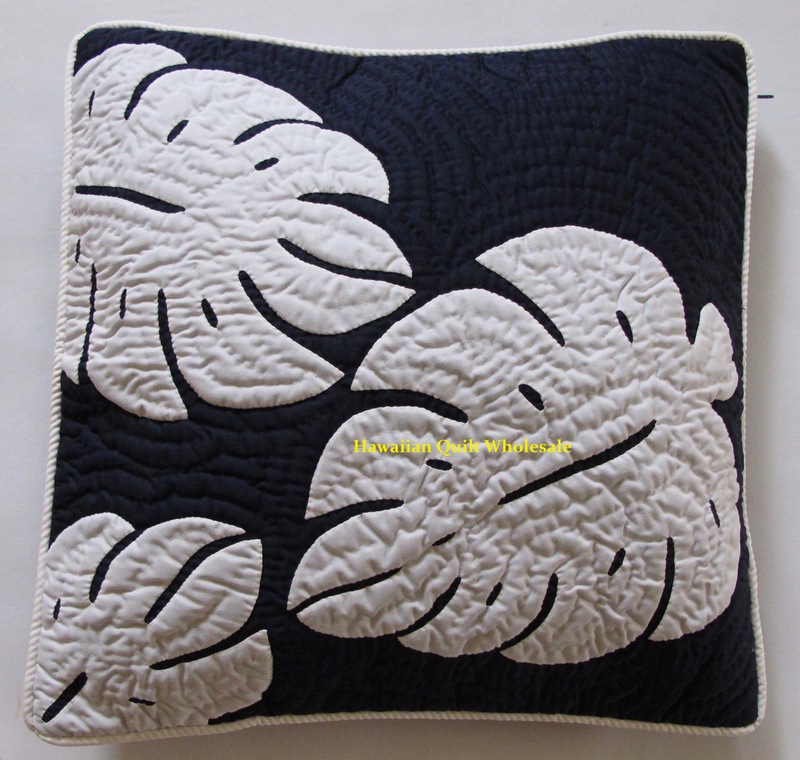 Here is the website link: https://www.hawaiianquiltwholesale.com/product/monstera-pillow-covers-onb/. Thank you.